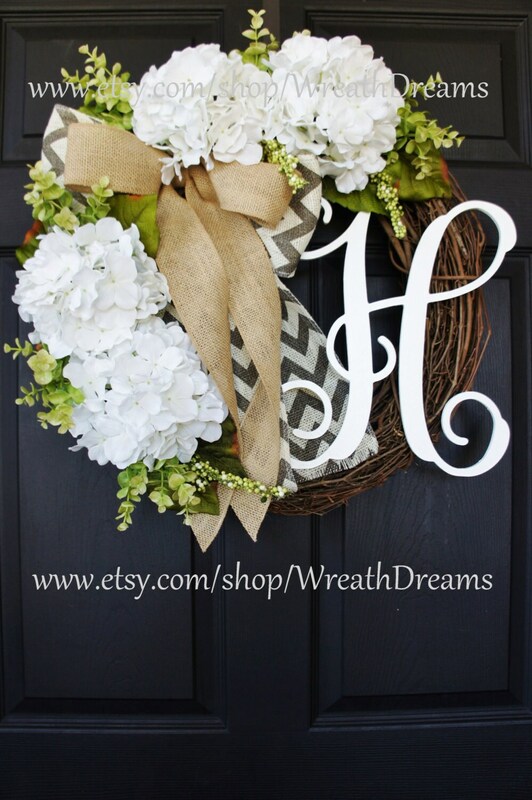 A refreshing Year-Round wreath decorated with luscious white Hydrangea bloomss along with a spread of light green berry clusters & eucalyptus complemented by a large gray & bleach chevron burlap ribbon topped by a tan burlap bow. 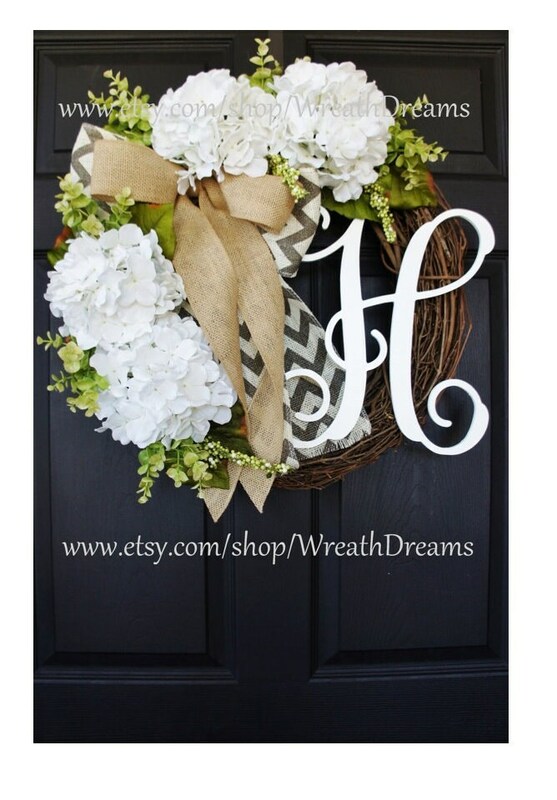 Such a beautiful wreath! I love it! It arrived today and I couldn't be happier and more pleased! From the ease of ordering, asking questions, getting quick answers, to receiving my wreath quickly. I am very pleased and have already received compliments. Can't thank you enough! it's beautiful. My wreath arrived today and it is beautiful!